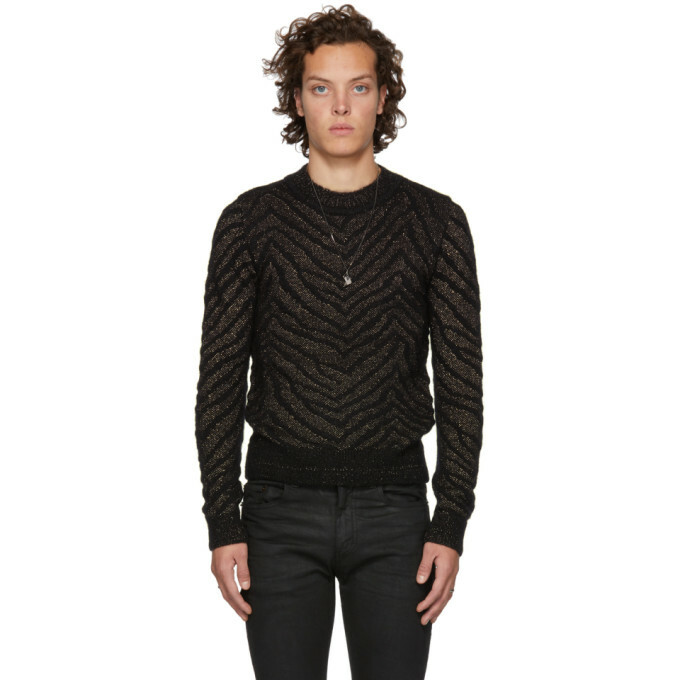 Long sleeve knit mohair, wool, and lurex-blend sweater in black and gold-tone. Graphic pattern knit throughout. Rib knit crewneck collar, cuffs, and hem. Tonal stitching.